Brothers, it is customary to recognize the Active for our valley in the annual report. However, this year I request that you remove your hat and take a short time to remember and reflect on the good work and deeds of our friend, brother, and past Active. The Illustrious John Phillips. It has been my pleasure to serve the Valley of Chicago and the Chicago Council Princes of Jerusalem as your Sovereign Prince this past year. With the other officers of the executive committee, the board, and the office. We have endeavored to grow and strengthen our valley, not only in new members and events; but with the renewed involvement of the existing members as well. Together, we, the valley, have recently returned to the use of event chairmen and stated meetings. While these are small steps, I hope and believe they represent an opportunity for creating new and exciting growth within our valley and fraternity. Additionally, in the fall of 2017, the Princess of Jerusalem and cast performed the 16 degree, which was directed by David Truax with assistance by Joseph Pegoraro. In the recent past, when the degree was performed by our valley, we concentrated on Scene 2. However, David chose to include scene 1, which provided a deeper understanding to the degree, in my opinion. And in the spring of 2018, the Princess of Jerusalem and cast performed the 15 degree, which was directed by Terry Hartl with assistance from Chad Lacek. Terry, included new sound and light effects, as well as, stage changes to enhance the production of the degree. I would be remiss, if I did not mention that none of what we have accomplished would have been possible without the support and hard work of our committees and their chairmen. Brothers, your efforts where not unnoticed and are very much appreciated by the presiding officers and board. Brothers, we all need to continue working together. Collectively, we share the responsibility of improving and refining the experiences we have all come to know at the Valley of Chicago. Let us avoid complacency by continuing to challenge conventional approaches to routine challenges, while continuing to draw from the spiritual traditions offered by our organization’s rich history and ritual. Great things are achieved through small steps, and the Valley of Chicago consists of many members whose individual steps represent a tremendous resource. I believe you and all of your steps offer us a potential for a future filled with growth in membership and brotherhood. You may recall the survey published by the Northern Masonic Jurisdiction and distributed to each of us titled, “The Path Forward”. 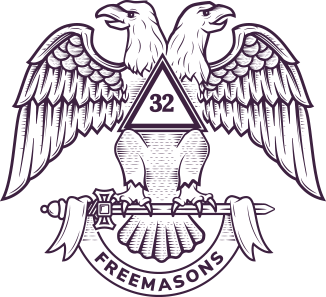 The statistic that stood out most to me within the publication was the fact that 81% of respondents had heard of freemasonry; yet were unaware of our fundamental tenants. Those being; brotherly love, relief, and truth. We as Free and Accepted Masons are taught, since our first degree, to make use of our working tools for their more noble and glorious purposes of dividing our time and divesting our hearts and conscience of the vices and superfluities or embellishments of life. Together brothers, we can move forward and accomplish wonderful things for this valley and our fraternity, if we remember, the secret to change is to focus all of our energy on not fighting the old; but rather on building the new.